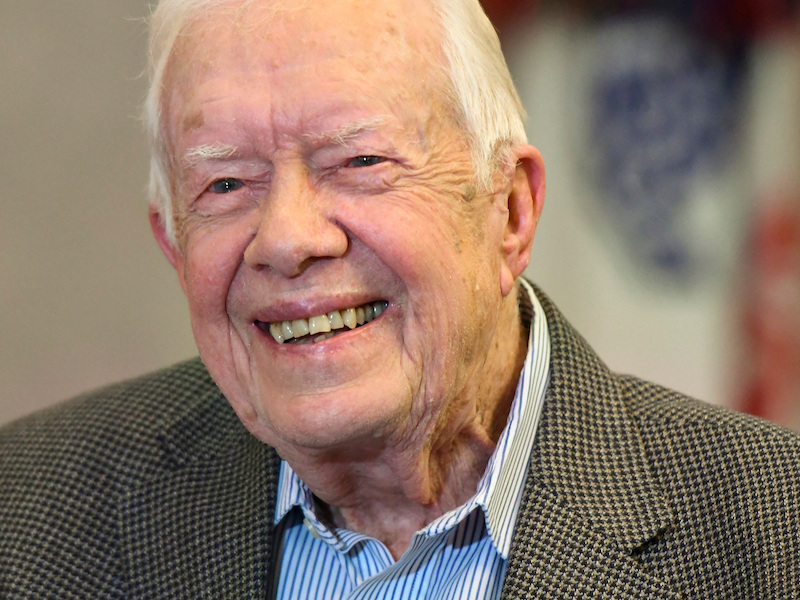 LYNCHBURG, Va. (AP) — Former President Jimmy Carter took a gentle poke at President Donald Trump at the start of a commencement address to graduates of Liberty University in Virginia. “I don’t know if President Trump would admit that or not,” Carter said, drawing laughter. The remark harkened back to controversies over Trump’s claim of a massive inauguration crowd exceeding 1 million, despite photographic evidence suggesting otherwise.